Send Your Story for the May 2019 Show! 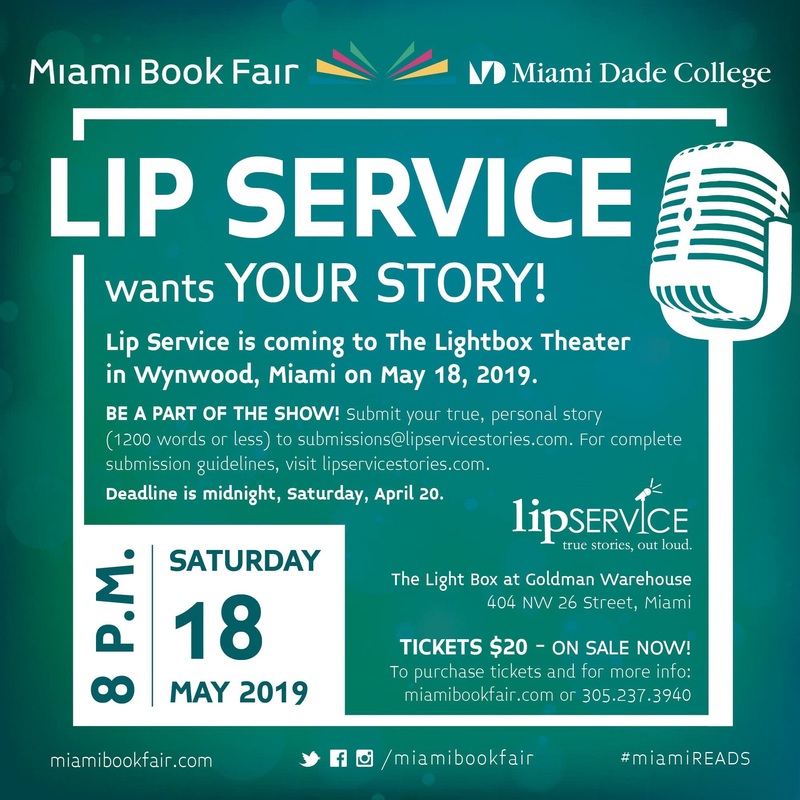 Lip Service’s next show is Saturday, May 18, 8 p.m., at the fabulous Light Box Theater at the Goldman Warehouse in Wynwood, Miami. The theme is open, so anything goes! We’re looking for stories that are shocking, funny, sad, embarrassing, epic, crazy or cringe-worthy. Whatever your story is, we want it. As always, submissions should be true, personal, and 1200 words or fewer. Submit to submissions@lipservicestories.com. OUR LAST SHOW SOLD OUT! So get your tickets now!!! Click HERE for tickets! This entry was posted on Monday, February 18th, 2019 at 12:37 am. You can follow any responses to this entry through the RSS 2.0 feed. You can skip to the end and leave a response. Pinging is currently not allowed.